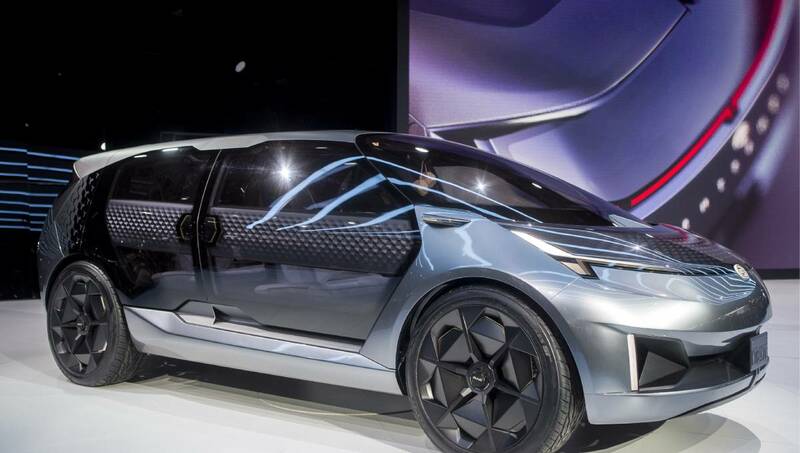 Photo: The GAC Entranze concept electric vehicle is unveiled at the North American International Auto Show, Monday, Jan. 14, 2019, in Detroit, Mich.
Detroit, Jan 15 : The U.S.-China trade war has delayed but not derailed Chinese automaker GAC Motor’s plans to enter the American market, company officials said Monday. Company President Yu Jun, speaking at Detroit’s North American International Auto Show, said the dispute is a factor in moving its U.S. product launch from the end of this year — as it announced at last year’s show — to June 2020. Still, analysts think they might have a longer road to the market. President Donald Trump imposed tariff increases of up to 25 percent on $250 billion of Chinese imports over complaints Beijing steals or pressures companies to hand over technology. President Xi Jinping responded by imposing penalties on $110 billion of American goods. Washington wants Beijing to change its plans to use government support to make Chinese companies world leaders in robotics and advanced technologies. Chinese officials have suggested Beijing might alter its industrial plans but reject pressure to abandon what they consider a path to prosperity and global influence. Yu said the 25 percent auto tariffs would cause prices to rise to the point that GAC’s cars aren’t competitive. He’s optimistic that the trade dispute will be resolved in time for his company to meet its latest goal. Yu acknowledged GAC’s “uphill battle” to entering the U.S. market but he noted the company is making “steady progress.” In addition to opening the design centers in Los Angeles, Silicon Valley and Detroit, he said it expects to have its North American sales company running by March. After that, GAC will start to establish a distribution network and build brand awareness in the U.S.
GAC officials visited the National Automobile Dealers Association convention last March, holding an event that attracted 130 dealership companies from 30 states representing 1,100 dealers, he said. He added many expressed a “keen interest” in working with the company, which has continued discussions with them. GAC plans to attend the convention again this year. “By entering the U.S. we can examine our own capabilities and challenge ourselves to build even better products,” he said. IHS Markit analyst Stephanie Brinley said GAC’s announcement underscores its commitment to launch in the U.S., but stressed the company must jump many hurdles, starting with regulatory and trade, and then consumer awareness and consideration. It could all “take several years to overcome,” she said. “However, if the company can maintain its patience and commitment, it is ultimately a question of when rather than if they reach the U.S. market,” she added. At its fifth Detroit show, GAC unveiled a concept called the Entranze. The “hyper family car” comes from GAC’s Los Angeles design center and Yu said the sleek, seven-person crossover, is the first to be designed in the U.S. However, GAC’s first vehicle in the U.S. is expected to be the GS8, a full-size SUV that will cost about $30,000. GAC sought to tamp down the trade tensions and put on a show for the assembled journalists, featuring dancers who aggressively pulled the tarp off the Entranze and executives who spoke glowingly of the U.S. and a history of commerce between the nations that has benefited consumers. “We believe American consumers will enjoy our products,” Yu said.